Depression is a serious medical illness affecting more than 14 million American adults every year. Although antidepressants can be effective for many patients, they do not work for everybody. Additionally, since antidepressant medications are typically taken by mouth, they circulate in the bloodstream throughout the body, often resulting in unwanted side effects such as weight gain, sexual problems, upset stomach, sleepiness, and dry mouth. More than 4 million patients do not receive adequate benefit from antidepressants and/or cannot tolerate the side effects caused by them. Major depression is a serious medical illness affecting more than 14 million American adults every year. Often a debilitating disorder, depression results in a persistent state of sadness which interferes with an individual’s thoughts, behavior, mood, and physical health. Learn more about depression symptoms. Depression can be a lethal disease. In fact, each year in the US, over 30,000 people die by suicide, 60% of whom suffer from depression. Overall, women are almost twice as likely as men to suffer from depression; however, some experts feel that depression in men is under-reported.5 Depression has no racial, ethnic or socioeconomic boundaries. About twothirds of those who experience an episode of depression will have at least one other episode in their lives. While the exact cause of depression is not known, the leading scientific theory is that depression is caused by an imbalance of the brain’s neurotransmitters. Neurotransmitters are chemical messengers that send signals between brain cells. Depression is most often treated with antidepressant medications. It is believed that antidepressant medications work by increasing the levels of these neurotransmitters. More than 4 million patients do not receive adequate benefit from antidepressants and/or cannot tolerate the side effects caused by them. 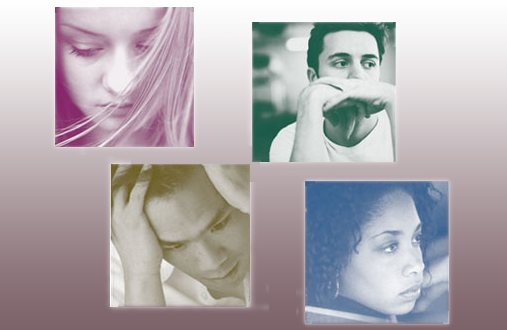 Learn about depression treatment options. Depression symptoms are most often treated with psychotherapy and antidepressant medications. It is believed that antidepressant medications work by increasing the levels of neurotransmitters in the brain. These changes have a positive effect on mood and on reducing feelings of depression and anxiety. Unfortunately, treating major depression is sometimes more complicated and requires more than antidepressants. Although antidepressants can be effective for many patients, they do not work for everybody. Some patients may not respond to antidepressant medications. Additionally, since antidepressant medications are typically taken by mouth, they circulate in the bloodstream throughout the body, and may result in unwanted side effects such as weight gain, sexual problems, upset stomach, sleepiness, and dry mouth. Over four million patients do not receive adequate benefit from antidepressant medications. When a patient does not respond or cannot tolerate two or more antidepressants, this is sometimes referred to as treatment resistant depression. Treatment resistant depression is a debilitating condition for those dealing with it. For these patients, alternative treatments for depression are available. These depression therapies have been shown to work in some people that do not receive benefit from antidepressants or cannot tolerate the side effects caused by them. These treatments may include: transcranial magnetic stimulation (TMS), combination therapy (taking an antidepressant medication with an antipsychotic medication), electroconvulsive therapy (ECT) and vagus nerve stimulation (VNS). Transcranial magnetic stimulation uses short pulses of magnetic fields to stimulate nerve cells in the area of the brain thought to control mood. These pulsed magnetic fields may have a positive effect on the brain's neurotransmitters levels. Treating depression with transcranial magnetic stimulation, also referred to as TMS therapy, may provide an alternative depression treatment for those who have not benefitted from prior antidepressant medication.